Amazon has been testing out the possibility of its Kindle e-reader being used on college campuses in pilot programs at three universities, and at least one of them overwhelmingly said, “No thanks.” Since last fall, Amazon has been having students at the University of Virginia, Princeton University and Portland-based Reed College try out the $489 Kindle DX as a possible replacement for text books, but not everyone took to it immediately. The good news is that 90 percent of the students in the program said they would recommend the device for pleasure reading, however. The students at the other schools gave the Kindle mixed reviews. 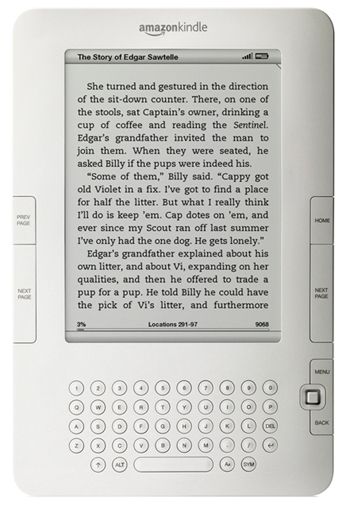 While they praised the Kindle for its long battery life, paper savings and portability, they also found fault with the fact that they couldn’t put notes in the margins, highlight passages was troublesome and the lack of color made it difficult to appreciate charts and graphics. I personally have been eager to see e-readers find their place in the world of academia for a number of reasons — mostly the potential cut in costs to students and saving of paper — but I have been saying for ages that they are nowhere near ready. Unfortunately, while e-ink is easier on the eyes for extended reading than screens like the iPad feature, it has distinct limitations when it comes to academic use. Can you imagine trying to read an art history text on a screen only capable of 16 shades of gray? A lot of the other issues brought up by the students are solvable, such as taking notes and highlighting, through more advanced applications on devices such as the iPad, they do raise a very valid point about the non-linear fashion in which you read textbooks. Thinking back to my days in school, there were times where you would hold pages up, rapidly flipping back and forth between one page, and one some ways back. I’m not sure anything like this could ever be duplicated on an e-reader, but there ay be a day where students don’t have a choice. 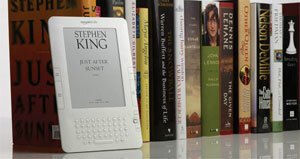 There will be a day in the not-so-distant future where e-readers will be common place, but that time is still a few years off. The technology has to catch up to the demands put on them by students, and they will get there, it will just take a little more time. What say you? Are you ready to give up your physical text books for digital ones?